Mike has been married to Wanda for fifty years. They have three children, one son, Will, who is married with two children and a daughter, Cindy, who lives in Nashville with her daughter. Mike and Wanda had another daughter, Kellie, who had multiple handicaps and passed away in 1992 at the age of twenty. Mike has been a gospel preacher for more than twenty-five years and during that time has served in several capacities and for several congregations. He began his preaching career as the Associate Minister for the Nashville Road Church of Christ, in Gallatin, Tennessee, where he served for more than nine years. 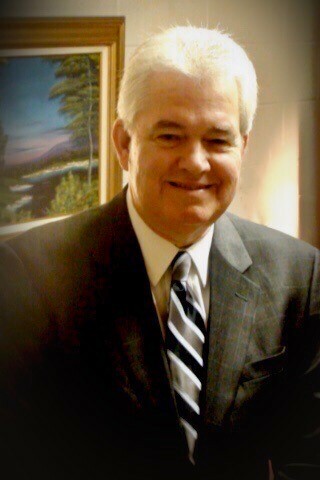 Mike served as an elder for Nashville Road for five years. Following this, Mike served as the Interim Pulpit Minister for the Northview Church of Christ in Columbia, Tennessee and then went on to be the pulpit minister for the Shelby Avenue Church of Christ in Nashville, Tennessee. His last ministry was at Ivey Point Church of Christ in Goodlettsville before coming to Neely's Bend congregation. He has been a student of the bible all his life and after graduating from Central High School, in Columbia, Tennessee he went on to attend David Lipscomb University in Nashville. Mike has also had a professional career in Information Technology. In that capacity he has served in many capacities from being President and CEO of Datasystem Solutions, Inc. a company that he co-founded to being the Director of Information Systems for Saint Thomas Health Services, Inc., in Nashville, Tennessee. Mike served in the Army Security Agency for four years and, during that time, was attached to the National Security Agency. After serving for two years on Okinawa he was assigned to the National Security Agency headquarters at Ft. Meade, Maryland.